If your kitchen clean-up partner has already had a long hard day, stop reading now. But if you and your kitchen clean-up partner appreciate a delicious gratin AND the conviviality of side-by-side clean-up at meal's end, this is your recipe. 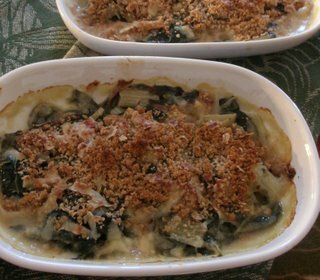 You see, this Swiss chard gratin is a wonderful fall or winter side dish but it creates a PILE of dishes: a large skillet, a large pot, a colander, a lemon press, a microplane, a food processor for the bread crumbs and a bowl for mixing. YIKES! Still, I must say that this is one of the most satisfying vegetable dishes I've made in a long while. It's a definite keeper. LANGUAGE NOTES ... What IS silverbeet, I've wondered, when seeing blog-sodic rhapsodies? Aha. It's what I call Swiss chard. But it's also "perpetual spinach" and mangold. Beautiful names, all, for a leafy green of extraordinary beauty. For linguists and gardeners, here's more information. NUTRITION NOTES ... As gratins go, this one is relatively healthful, with small portions of butter, cream and cheese. It racks up 2 or 3 Weight Watchers points (see detail below) and ventures into low-carb territory with a sprinkling (vs generous crust) of bread crumbs. INSPIRATION ... came from Ellen at Chronicles of a Curious Cook. Thanks, Ellen! I'd definitely consider this make-ahead gratin for a fall dinner party, probably served in individual 1/2 cup ramekins placed directly on the plates. It would also be a delicious contribution to a Thanksgiving table. 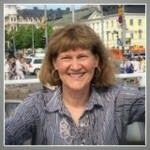 FROM THE ARCHIVES ... Like gratins? Me too! Favorites include this cheery looking spinach-artichoke gratin, this fennel & parmesan gratin and this cauliflower blue cheese gratin, all in the Recipe Box. NOTE: I've modified the preparation steps for my own "keep moving" style so they may read a little disjointed. There are four basic steps: (1) cook the stems in a floured water (2) meanwhile flash cook the greens (3) then combine and top with bread crumbs and cheese (4) and bake for 15 minutes. 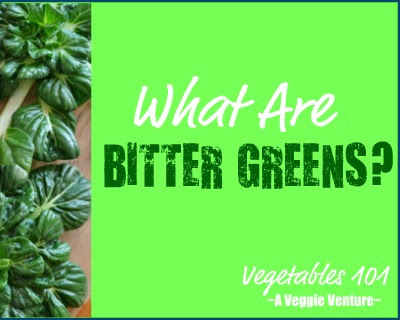 Bring a big pot of salted water to boil (for the greens). Place 1 cup water in a skillet, sprinkle with flour and whisk in. 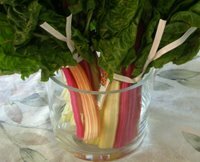 Wash the Swiss chard stems (set aside the greens for the moment), cut into 1/2 inch pieces. Add to skillet along with the lemon zest, lemon juice and salt to taste. Let simmer til cooked, stirring occasionally, about 20 - 30 minutes. Combine the bread crumbs and cheese and sprinkle over top. Bake at 425F for 15 minutes, longer if coming from refrigerator or even room temperature. How funny! We just made a similar swiss & ruby chard gratin the other night as a random creation - we had no idea it was a tried and tested recipe! It makes sense though, because both veg go together very well and it is super tasty! It's an excellent way to spruce up a gratin! I feel so honored! Glad you liked it. My chard keeps coming so I'm still looking for more ideas. I did a chilled chard and yogurt dish the other night that was excellent! I'm Swiss before your post I did not know that you call Mangold Swiss Chard. This looks wonderful. I love gratins - the cauliflower -blue cheese one looks awesome and the spinach-artichoke. thanks for the inspiration. Bonnie ~ Ruby chard, doesn't that sound gorgeous! Ellen ~ Chard from the garden! Oh my, I'm happy to just find it in the produce section! Zorra ~ Mangold's a really pretty name too, I think! Silverbeet I don't get though the words are pretty. I thought I remembered this post from last year. It still sounds delicious! Now if only the majority of chard in my garden wasn't only one inch high.